The best way to understand and appreciate a craft beer, after tasting one of course, is to visit the brewery and talk with the brewers. 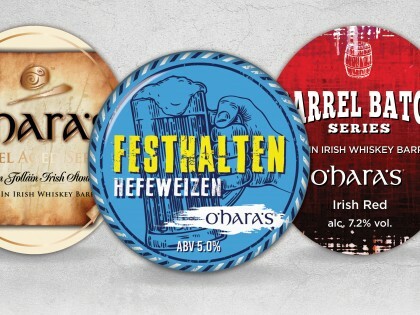 the special malts and smell the hops used to brew O’Hara’s and sample some of our award winning beers. the grains and aid the release of the starch and enzymes. 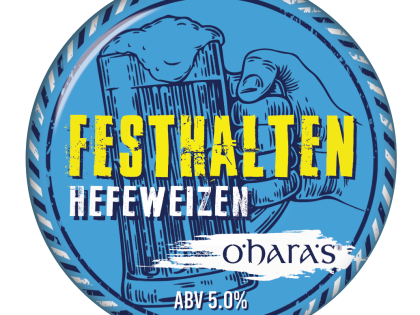 Grain is transferred to the mash tun where it is mixed with hot water to activate enzymes which change the malt starches into simpler sugars. The result is a sweet liquid called wort which is separated in the lauder tun from the spent grain. wort. 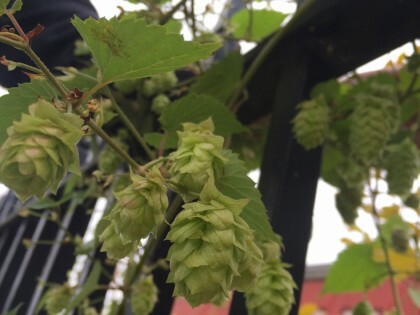 The selection of hops used and the timing of their addition to the kettle gives the beers enticing flavours and aroma. creating the alcohol begins. 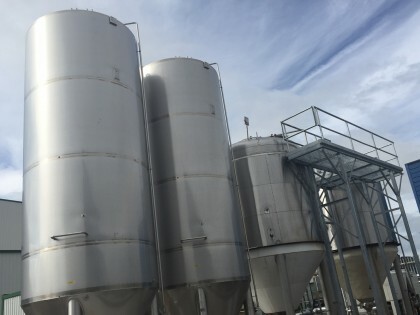 The yeast converts the sugars from the brewing process into alcohol and carbon dioxide gas. 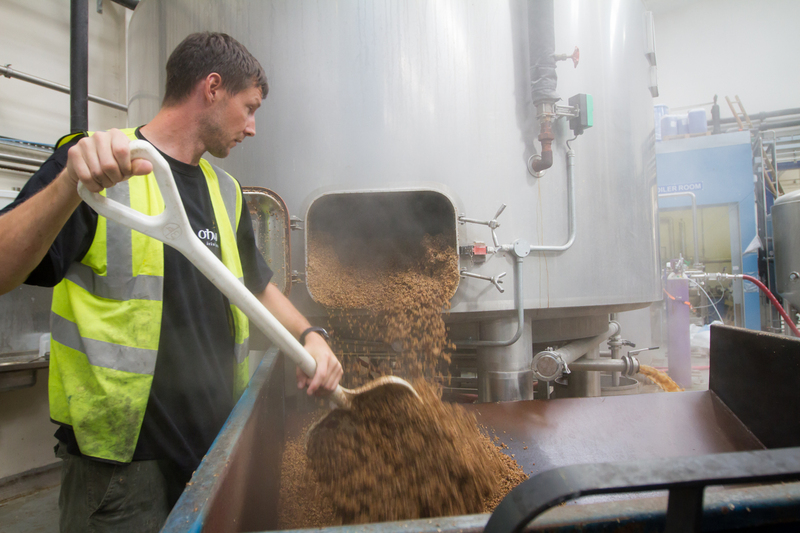 After each brew our spent grain is usefully recycled by local farmers who use the nutrient rich food to supplement their herd’s feed. other particles are removed to prevent spoilage. 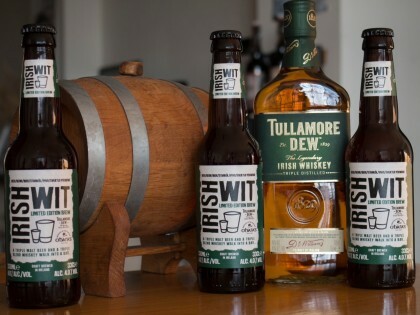 Our unfiltered cask-conditioned and bottle-conditioned beers skip the filtration process to remain in their most natural form. As the fermentation vessels are emptied our yeast is cropped for the next brew. 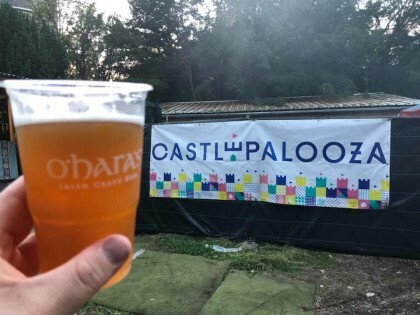 to the end of the kegging line. It’s a hard job but someone has to do it! 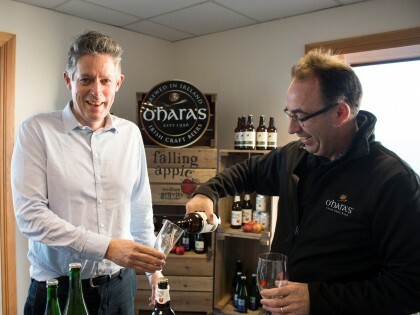 Every batch of O’Hara’s is personally tasted for quality assurance by head brewer Alan and quality manager David. 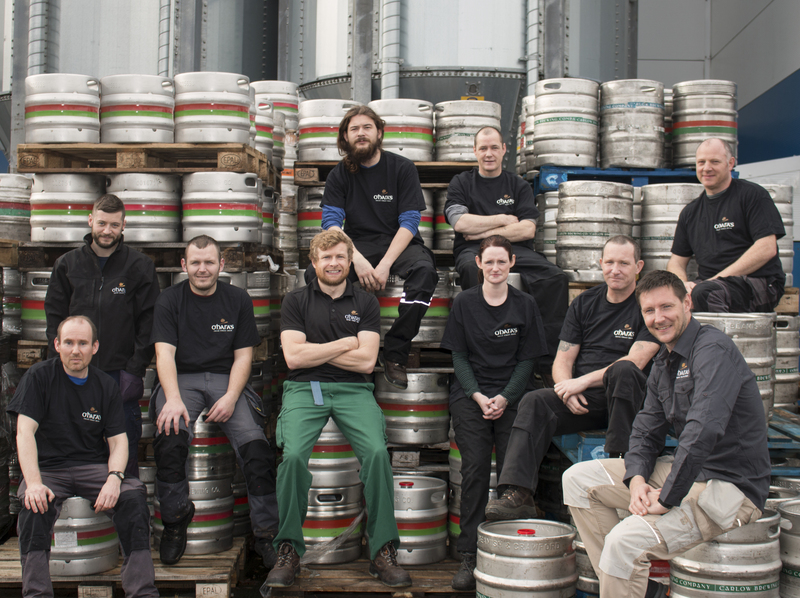 passion, taste our beers and we’d be happy to have you join us one day at the brewery! 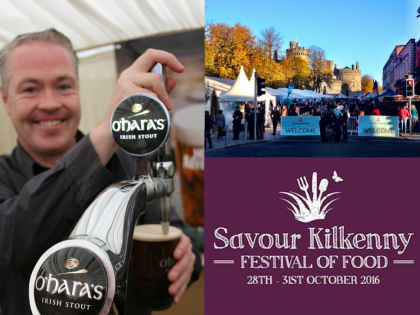 Experience our passion for the craft. 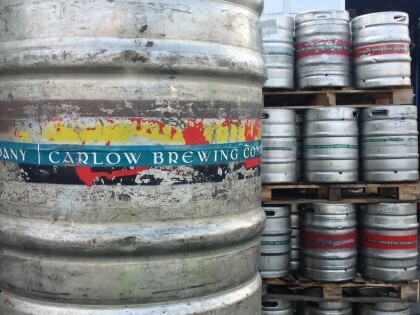 Meet the Carlow Brewing Team and walk through the brewing process with our brewers. 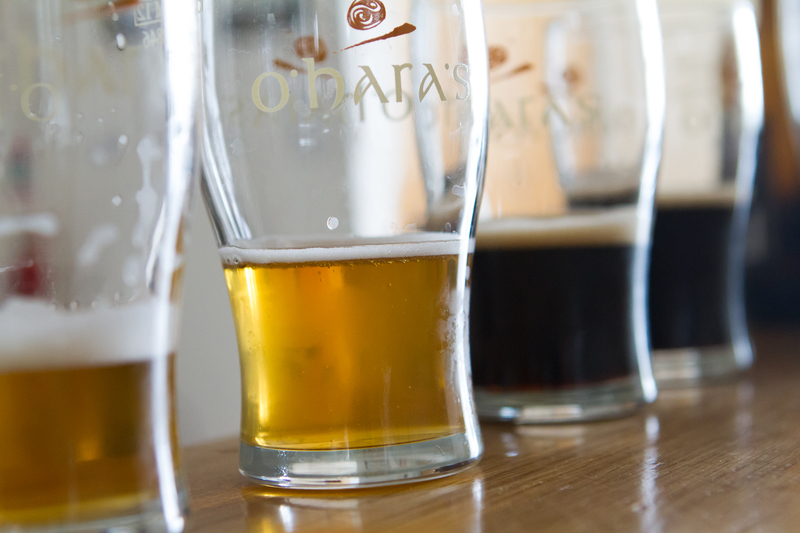 The brewery tour will take you on a journey through Ireland’s indigenous craft brewing history, teach you about the brewing process and how we brew O’Hara’s award winning beers. 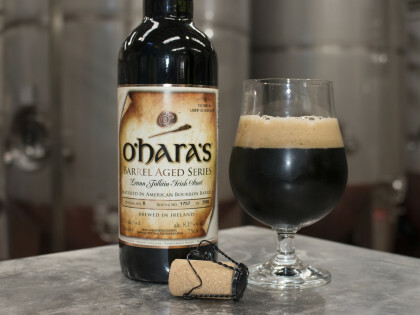 You will of course have the opportunity to taste the special malts, smell the hops that make O’Hara’s craft beers so enjoyable. 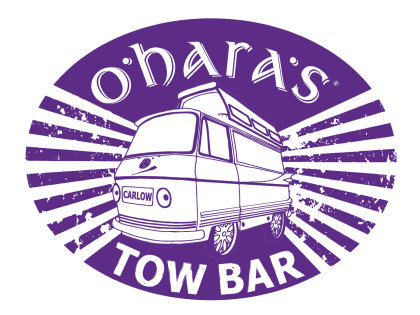 We finish off our tour with a visit to O’Hara’s tasting room where you will have the chance to sample and compare some of our award winning craft brews. 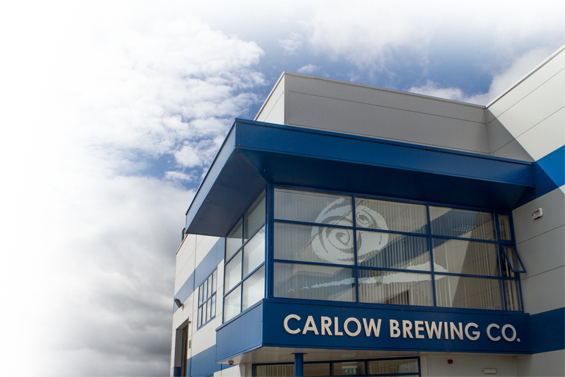 Please Note that due to Health & Safety reasons, appropriate footwear is mandatory for all tours and visitors wearing open ended shoes such as flip flops / sandals etc will unfortunately be prohibited from entering the brewery floor.